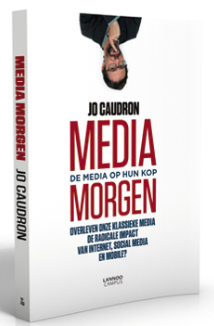 Jo Caudron is a Visionary and Strategist in Digital Innovation, an Author and inspiring Speaker, and CEO of DearMedia. He was born in 1968 (Dendermonde, Belgium), a year of change. He likes to believe that this is the reason why he is so passionate about change and innovation. Jo Caudron has been CEO, chairman of the board, evangelist, but overall he considers himself as an entrepreneur: someone who sees change and opportunities before the rest of the market does, and then creates business around it. And this is also what he wants to be for his customers: an advisor who thinks like an entrepreneur, someone who can introduce new ideas into an organization, but who also has the pragmatic approach to translate theory into accountable practice.